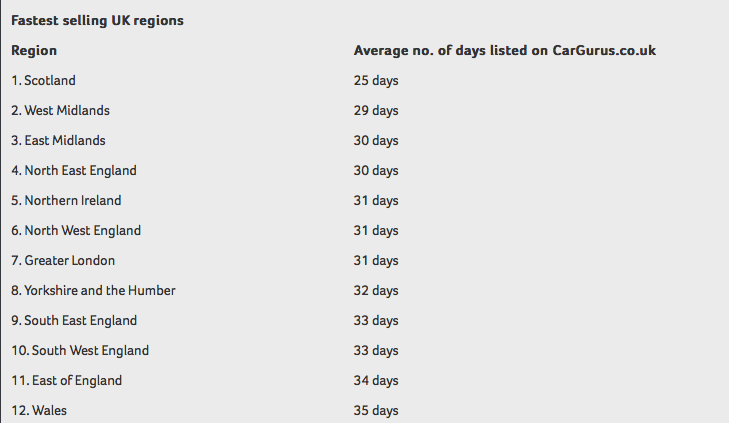 USED cars sell six days faster in Scotland than the nationwide average, according to CarGurus. 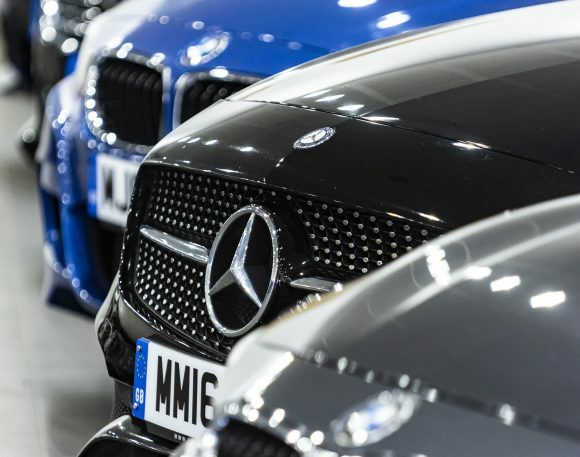 Data from the online automotive marketplace showed that cars spend just 25 days on dealer forecourts in Scotland compared with the average of 31 days across the UK – with Scottish dealers managing to shift stock a full 10 days faster compared with those in Wales. 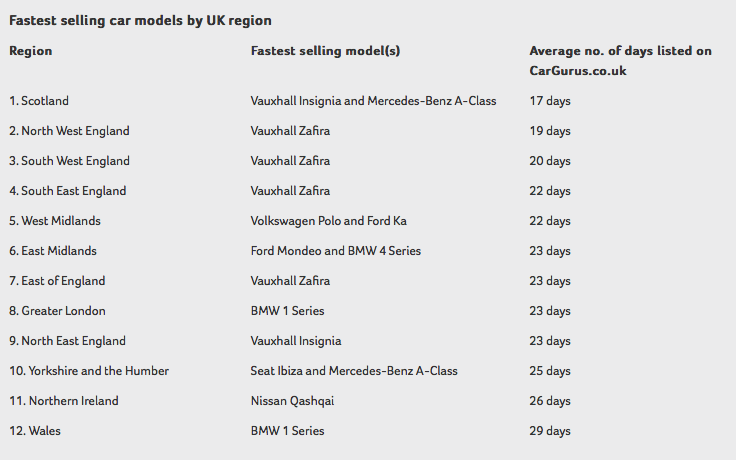 North of the border, the Vauxhall Insignia and Mercedes A-Class were identified as the fastest-selling models. The hatchbacks spent an average of just 17 days on Scottish forecourts before being sold. 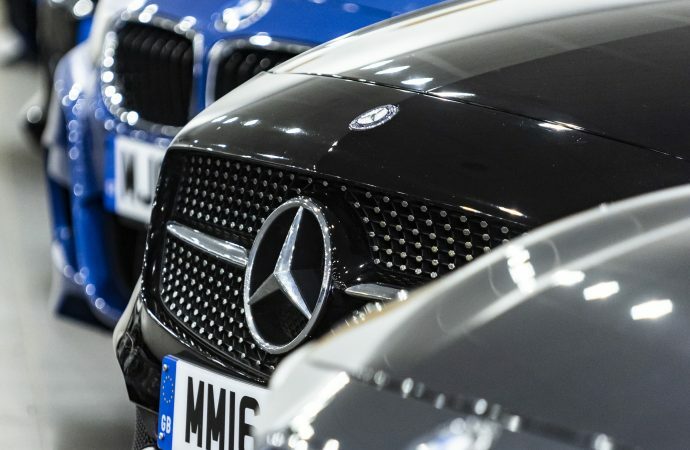 Dealers in the Midlands also proved their selling prowess, with the region taking second and third place. In the West Midlands, the Volkswagen Polo and Ford Ka were most popular, with these cars finding a home on average after just 22 days, whereas the Ford Mondeo and BMW 4 Series were the choice of buyers in the East Midlands – selling in 23 days.